We are working on some cool updates, but we are taking our time. The next big content update is the Allies Update, and we want to make sure it's as good as we can make it. Thank you for being patient as we do our research to bring you some really cool stuff! Trickshot now has a development log! No big paragraphs about what we've already done, this one is more for what's happening behind the scenes at any given time. If you have a Twitter, follow us at @TrickshotDev. 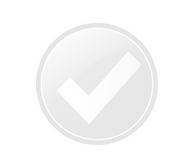 This is really exciting because we do like you to be informed about upcoming features and new developments. It's a chance for you to voice your thoughts by replying directly to tweets. This log will serve as a stream of consciousness from everyone involved in the development of new features, bug fixes, and more! If you want to get the jump on the latest and greatest Trickshot has to offer, and be in-the-know about everything that is to come, you'll definitely want to subscribe to get these updates. A big shoutout to one of our members, Darkstar1592, for building an awesome plugin that lets me tweet directly from the server so I can save a little time. New content for the Allies Update is scheduled to be released near the end of March. Allies are now a little more loyal! Allies now remain loyal after reboot, I finally figured it out! Now we focus on making them smarter and more useful! 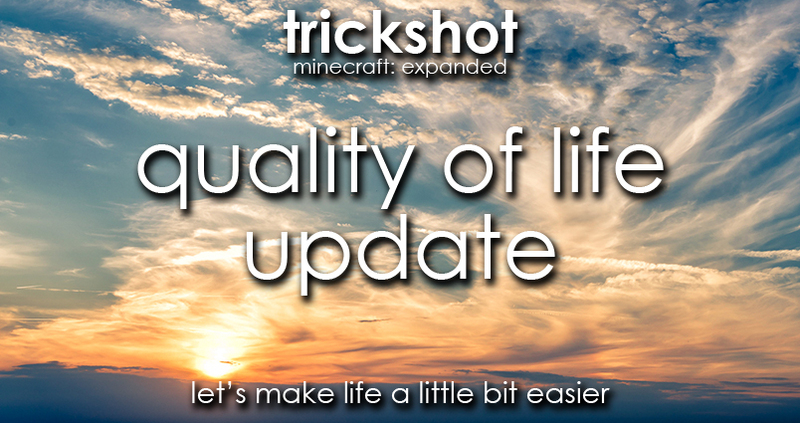 The Quality of Life Update is now! Isn't it nice when things are just easier? Introducing the Quality of Life Update! From getting around easier, to crafting and inventory tweaks. Today we bring you a tiny update with just a little bit of content that can make a big difference in how you play. Check out the details on our wiki!